1) You will need to have held a driving licence for more than a year. If you have a European community licence you will need to convert it to a UK licence. 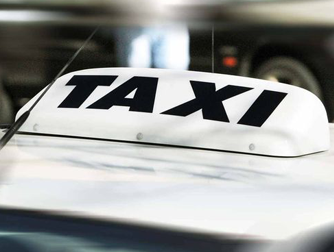 2) Find your Local Council policy for obtaining a taxi licence as they differ from region to region. 3) Most Local Councils will then require you to book and attend an induction course that will cover all aspects of the application process as well as providing the information and application forms for the compulsory checks and tests. We usually always recommend 2 hour sessions if you want to get a lot covered. If you would like some advice before enquiring then feel free to ask us a question and one of our experienced trainers will be in touch within 24 hours. 2) A DVLA Group 2 Medical Certificate which must be dated within one month of the application. 3) A DVLA shared driving licence code, obtained from the DVLA webpage and valid for 21 days. 1) DBS (Disclosure and Baring Service) check, formerly known as a CRB check. With all of these steps successfully completed the Local Council you are applying for will consider your application. When you have all the documents and theory test passed Pure Driving can help you to pass the all important practical test. After an initial assessment we can offer advise on how many hours of training will be required to get you to the standard required. All of Pure Driving’s instructors have good knowledge of what is required to pass the test and what a DVSA examiner will be likely to ask you to perform during the test itself.